Backpacking with toddlers can get really messy, noisy and it will probably require twice the effort that you’d need if you were hiking alone. On the brighter side, it also gives you an opportunity to create beautiful and lasting memories. Backpacking means getting to share an exciting and unpredictable adventure with your little one. Sure, they might upset you or throw tantrums at some point. But consider the fan of careening down a natural water slide with your three-year-old daughter. To make your backpacking expedition easier, here are a couple of tips that can help. When you’re backpacking on your own, it’s likely that you travel for more than four miles. But if you’ve brought your toddler along, you shouldn’t tackle too much. And this is not just because of your kid’s short attention span. You need to consider the additional weight that the adults will be hauling. If it gets to a point where your kid is too tired to walk, you or your partner may have to carry them around. Even if you’re not the one carrying your toddler, you’ll probably have more luggage to haul around; be it diapers, more snacks, water bottles, some warm clothing and more. If you’ve never given much thought to buying a backpack, now is the best time to. When it comes to carrying gear, you have two options to choose from. You can either carry two sizeable backpacks or you can buy a baby carrier pack. The latter is the most preferred as it comes with a supportive design to provide a comfortable and safe ride. Using two backpacks is an alternative but this works better if you are backpacking with two adults. Is it adjustable enough so that you and your backpacking partner can take turns carrying your toddler? Does it have additional space for supplies? Does it come with a sun and rain shade or canopy? 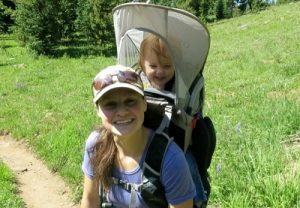 For a more comprehensive guide on the best baby carrier, you should check out Adventure Gears Lab. But if your baby prefers to walk, determine beforehand exactly how much of the trail he or she will be able to tackle before needing to be carried again. This might be slow-going but your kid will learn to love the outdoors gradually. When backpacking with a toddler, you should choose a campsite that will be kid-friendly. If you plan to stay a couple of days, you might want to backpack near a water source so that you have a constant supply of fresh water. On the same note, ensure the campsite does not any irritants such as the poison oak. If you’re backpacking with a kid who loves to wander off, putting a tiny bell on his or her shoelace might be a good idea. It might be a little irritating, but it will come in handy if your baby decides to stroll through the woods by himself. Moreover, you should show your kids the campsite’s boundary. Remind them to stay away from any camp stoves and fire pits. You should also consider taking a first aid kit. Ensure it has essential items like baby aspirins and kid-friendly repellents. Exposing your kids to the outdoors will make them strong-willed and tough outdoorsmen when they’re all grown up. However, backpacking with a toddler is no walk in the pack. You’ll have to plan adequately, choose a campsite wisely and invest in the right equipment. 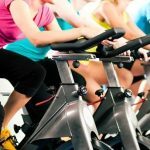 Is Exercise Bike Good for Teenagers? What is the best dog to get for a child?